If you have an ice cream maker this is a must try! 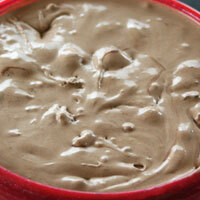 Don't just stop at the chocolate ice cream, although it is delicious by itself, make and chill the fudge as well. Trust me you won't be disappointed! In a microwave safe bowl melt the chocolate for one minute. Stir and melt and additional minute. Stir until smooth. Set aside to cool slightly. 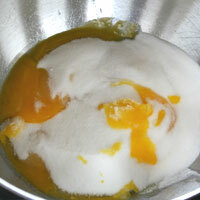 In a bowl of an electric mixer add the egg yolks, sugar, and salt. With the paddle attachment beat on medium speed for 5 minutes until pale yellow and light and airy. 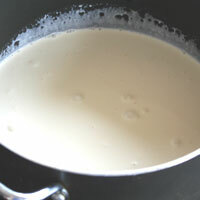 In large pan heat the cream and milk over low heat stirring occasionally. Be careful not to (1)scald it! 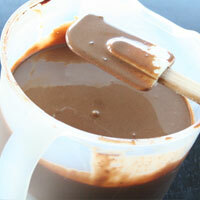 To the egg and sugar mixture, add the melted chocolate and beat on medium until incorporated. 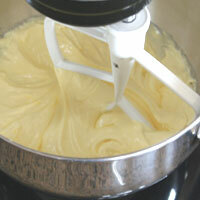 Turn the mixer on the lowest speed and pour the (2)heated cream in, in a slow steady stream. Mix thoroughly. Remove the bowl and scrape the bottom to make sure it’s all incorporated. Return to pan and heat over medium heat stirring constantly. If using a thermometer heat to (3)160 degrees. If not using a thermometer heat until it thickens and coats the back of a spoon. It should not (4)boil, but a few bubbles may come up along the edges. Remove from heat and add vanilla. Cool using an ice bath stirring occasionally. Refrigerate until (5)completely chilled. Set up (6)ice cream maker according to the manufacturer’s directions. With the machine running add the mixture in a slow steady stream. Churn according to directions. While it is churning place the container you’re going to store it in, in the freezer. The ice cream won’t be really firm after churning and will melt easily. If the bowl is cold when you transfer it, it will stay more evenly cold. Freeze to ripen (firm up) or continue with the Oreos and Fudge. Crush the oreos and measure the chilled hot fudge sauce. Set aside. 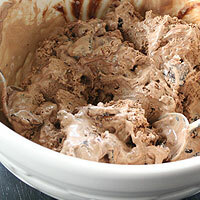 Swirl in the oreos and fudge right after using the ice cream maker. You'll want ribbons of fudge and chunks of oreos, so don't mix it too much. 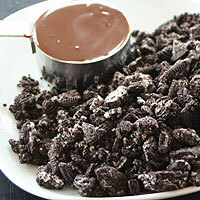 If you like crisper Oreos, mix in the oreos and fudge right before serving. Adding the melted chocolate: It is best to add the melted chocolate to the egg and sugar mixture right before adding the heated cream. Beat it to fully incorporate it. I have forgotten to add it at this point and added it when I was heating the entire mixture. It didn't mix well, so I had to blend it. It turned out fine, that's just an unnecessary extra step. Scalded milk: If the cream and milk scalds (boils), it will ruin the taste. The texture will still be great, but it will taste like heated milk instead of ice cream. Cooked eggs: It is important to add the heated cream to the egg mixture slowly. If it's added all at once it could start to cook the eggs and leave you with chuncks of egg. It's also best not to add the egg mixture to the pan of heated cream because it could cook it too fast. Beating the eggs and sugar: For the creamiest texture it's important to beat the sugar and eggs as described in the recipe. It also helps the ice cream to not to stick to the top of your mouth. Freezing: If the ice cream isn't completely chilled the ice cream maker may not be able to freeze it. 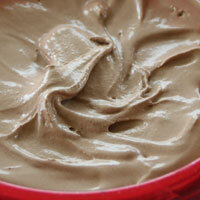 No ice cream maker: If you just freeze it rather than use an ice cream maker it won't be as light and creamy. You can stir it every thirty minutes of freezing, but it will form ice crystals. 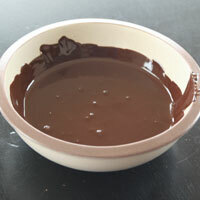 In a microwave safe bowl melt the chocolate for one minute. Stir and melt and additional minute. Stir until smooth. Set aside to cool slightly. In a bowl of an electric mixer add the egg yolks, sugar, and salt. With the paddle attachment beat on medium speed for 5 minutes until pale yellow and light and airy. In large pan heat the cream and milk over low heat stirring occasionally. Heat to 160 degrees. If you don't have a thermometer it will be hot, but not to a boil. Be careful not to (1)scald it! 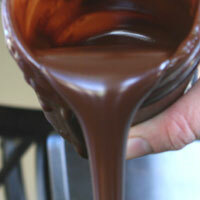 To the egg and sugar mixture, add the melted chocolate and beat on medium until incorporated. 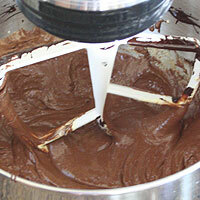 Turn the mixer on the lowest speed and pour the (2)heated cream in, in a slow steady stream. Mix thoroughly. Remove the bowl and scrape the bottom to make sure it’s all incorporated. Return to pan and heat over medium heat stirring constantly. If using a thermometer heat to (3)160 degrees. If not using a thermometer heat until it thickens and coats the back of a spoon. It should not (4)boil, but a few bubbles may come up along the edges. Remove from heat and add vanilla. Cool using an ice bath stirring occasionally. Refrigerate until (5)completely chilled. Crush the oreos and measure the chilled hot fudge sauce. Set aside. 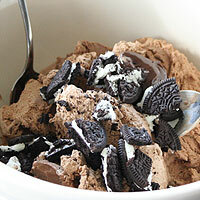 Swirl in the oreos and fudge right after churning the ice cream. Freeze to ripen. Measure powdered sugar and open both cans of evaporated milk. Set aside. In a large pot, melt butter and chocolate over medium heat. Stir frequently and don’t leave unattended, it can burn easily. 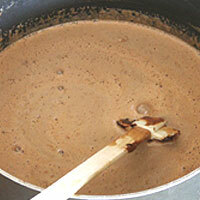 As soon as the chocolate is melted, add 1 c powdered sugar then 1/2 can evaporated milk. Stir and continue alternating the powdered sugar and evaporated milk until all of it is added. 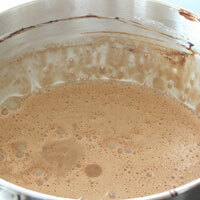 Raise heat to medium/high and bring to a rolling boil while stirring constantly. Boil 5-8 minutes until it thickens. If it boiling over the sides of the pot or thickening too fast, lower heat to medium. Remove from heat and add vanilla and salt. Stir completely. Serve hot or pour into jars to store. Keeps about a month in the refrigerator or up to 6 months in the freezer. Let the chocolate cool a bit before putting the lid on and refrigerating or freezing. 1.Scalded milk and cream taste bad and will ruin the ice cream. Only heat over low-medium heat and stir to make sure it is not scalding. 2.Pouring the heated cream into the egg mixture will temper the eggs so they won’t curdle. 3. 160 degrees is the point when the eggs are pasteurized and safe to eat. 4. Do not boil the mixture. It will taste bad. 5. If the ice cream isn't completely chilled the ice cream maker may not be able to freeze it. 6. 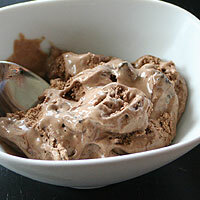 If you don't have an ice cream make, but just freeze it won't be as light and creamy. You can stir it every thirty minutes of freezing, but it will form ice crystals.